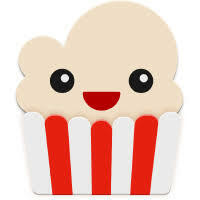 We all love Popcorn Time. It’s a great way to quickly download and watch TV shows, movies, and more on any device that you have, but it doesn’t mean that you should just go out and download everything with impunity. When you’re downloading on BitTorrent (Torrent), you should always be safe and use a VPN. A Popcorn Time VPN might be easier to set up than most VPN services out there, but if you’re still on the fence about why you should use one then keep reading. Using Popcorn Time makes life a lot easier in many respects, but just because downloading on BitTorrent is easier doesn’t mean that it’s safe. Popcorn Time is just an application to make downloading easier, but it’s still just as easy to have trackers log your IP if you download without a VPN. IP-Level Security: With a VPN service, the biggest benefit is that trackers are unable to see what your actual IP address is. When you are connected to your VPN of choice, the only thing that trackers will see is the VPN of the location that you are connected to. If your VPN is located in another country, then it makes it extremely hard for those tracking you to find out where your downloading has actually originated. No Logging: Aside from tunneling your Popcorn Time downloading through another IP address, the other concern that you need to have is whether or not there is a log of your downloading activity with your VPN service. We never keep logs of any requests made through our service, or of any traffic that goes through our servers, meaning that there is no possibility of being tracked through out service. While not all VPN services do this, it’s a service that you need to keep an eye out for to remain completely protected. The above are just a couple reasons to use a VPN, but they are big ones. Even though most people understand some of the reasons that they should use a VPN, most choose to take the risk because VPN services can be hard to set up and use consistently. Popcorn Time makes it easy to set up your VPN right in the application. All that you have to do is click on the lock in the upper right corner of the screen and enter your username and password for our VPN service. After that, you can quickly connect any time you need to and get started downloading safely!